Do not treat men with scorn. Listen to others and treat them well. Nobody made you a superior. 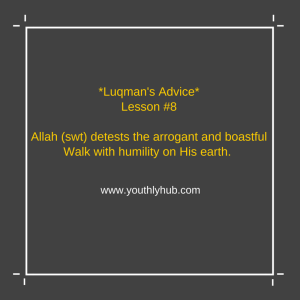 His advice can be found in Surah Luqman; chapter 31, verses 13-19. 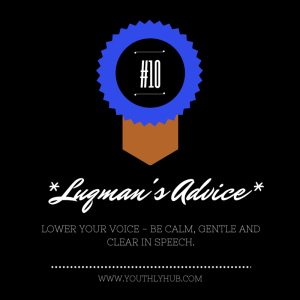 Here are 10 important lessons from the advice of Luqman to improve your life. True servitude is due to Him alone. Strive to serve Him with your mind, body and soul. Express gratitude to Allah first and to your parents. Reflect about your mother’s pain, sacrifice and discomfort, in having and raising you. Obey your parents in matters that do not violate the Shariah. Treat them well, uphold kinship ties and be cordial in all matters. No matter is hidden from Allah, even if it’s equivalent to the weight a mustard seed or scattered around. Remember He is The Subtle and Informed, He will bring all matters to light – for reward or punishment in the hereafter. 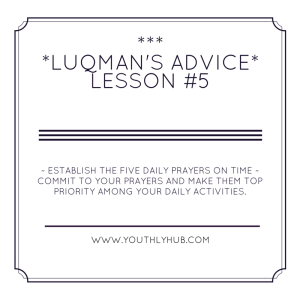 Establish the five daily prayers on time. 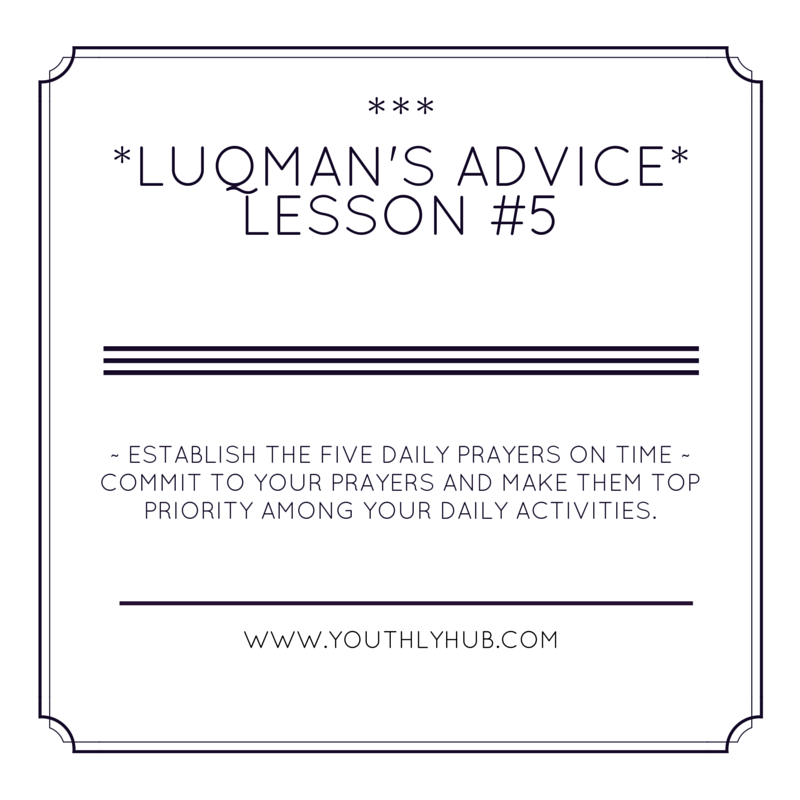 Commit to your prayers and make them a top priority among your daily activities. Be a caller to all that is good; uphold justice and forbid evil. 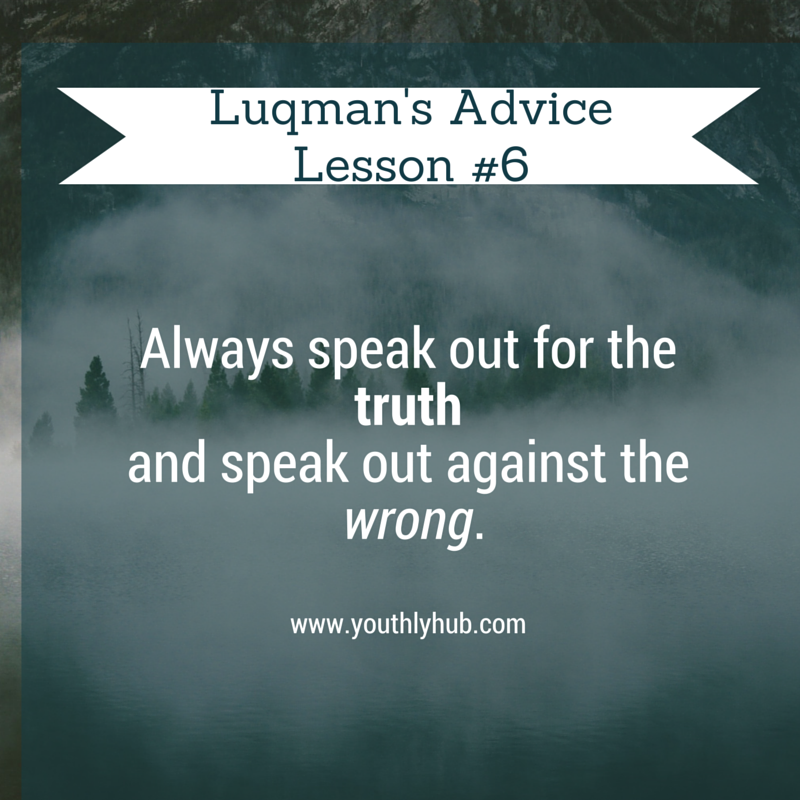 Always speak out for the truth and speak against what is wrong. 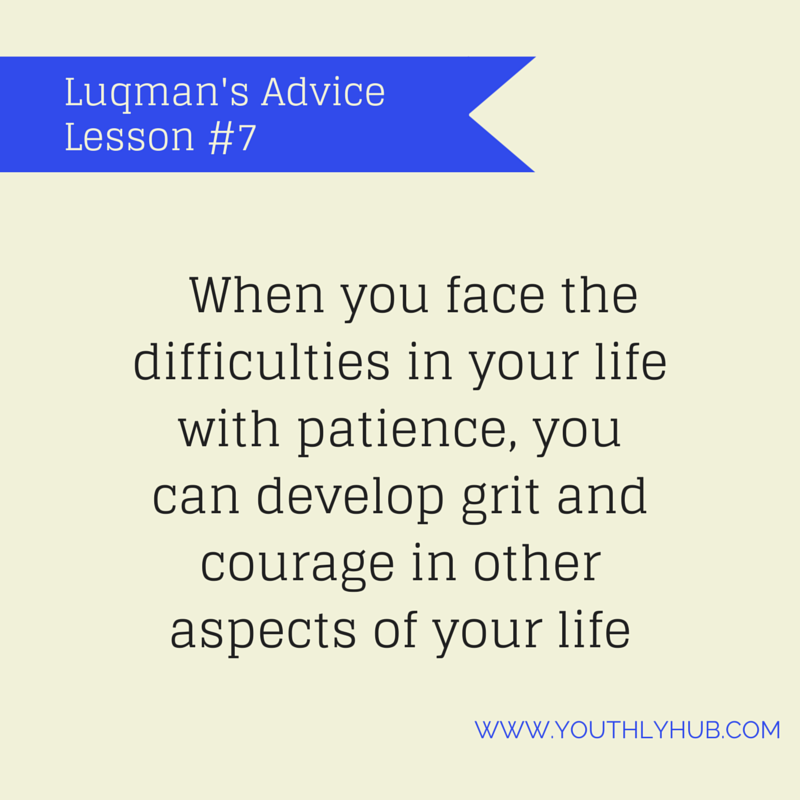 When you are patient, you develop grit and courage in other aspects of your life. 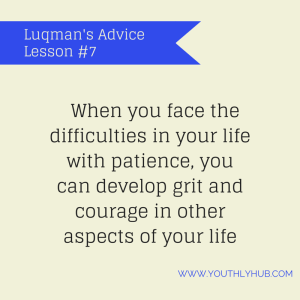 Improve your character through having patience with the difficulties that come your way. Allah detests the arrogant and boastful. 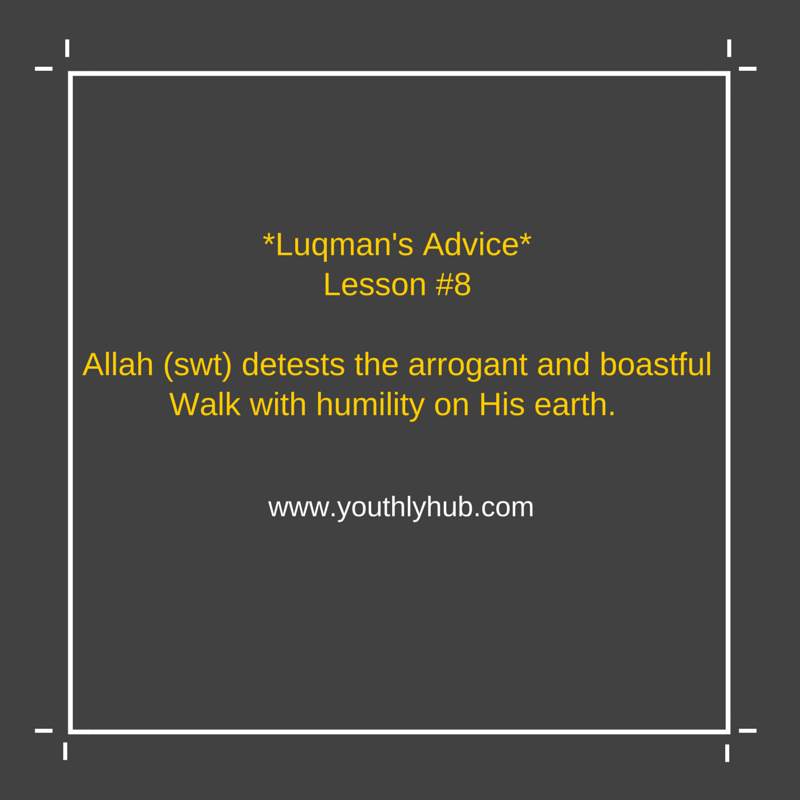 Walk with humility on this earth. Beware of using a harsh voice which ends up sounding like a braying donkey. 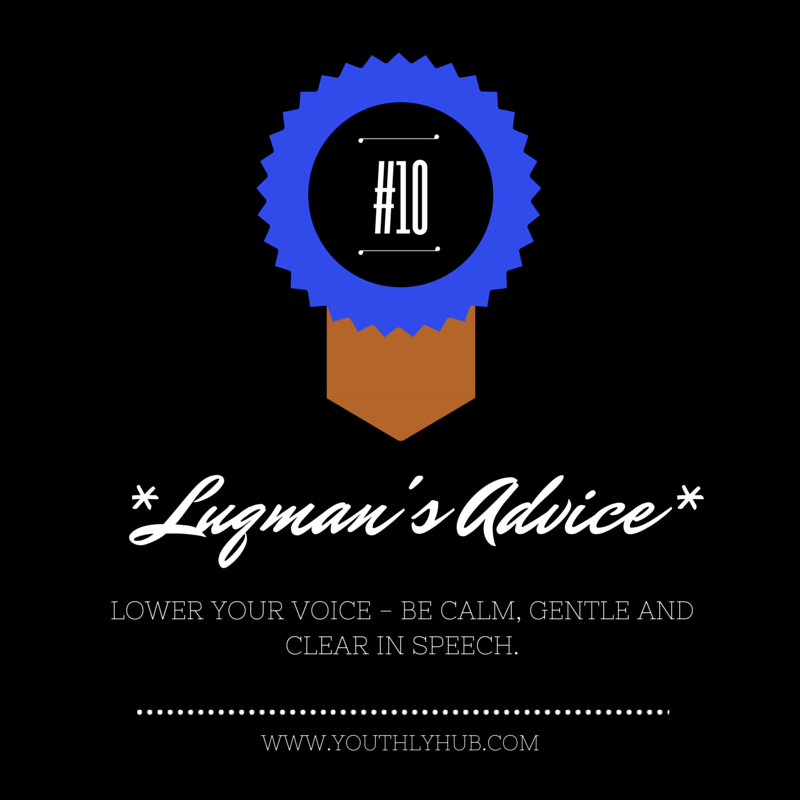 Lower your voice and speak gently to others. 10 important lessons to inspire and stimulate your growth and progress in life. 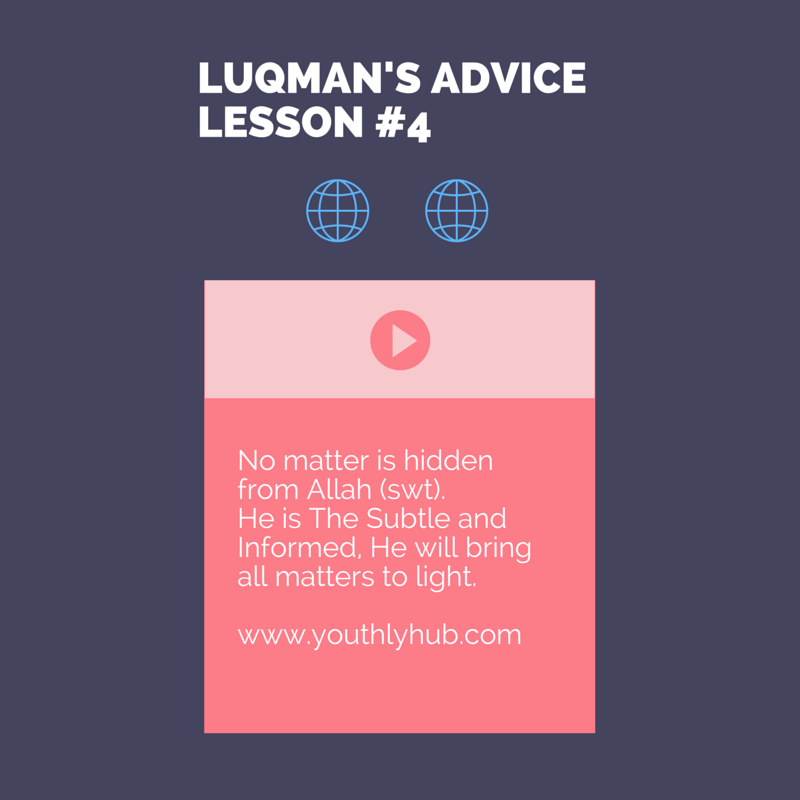 A special dua and gratitude goes to my niece, Fatima Nana, who has a simple but inspirational grasp of Luqman’s advice. (*Let me share a secret*… I had to call her while preparing this post to tap into her *youthly* inspiration as she took me through the pieces of advice from A-Z. A bigger dua goes to her special aunt, Umm Halimah – the reading/ literacy expert – who read the story of ‘Luqman’s advice to his son’ to her at the Summer Literacy Quest. Pick what you need in your life now and develop yourself. You can boost your spirituality, improve your personality and strengthen your relationships. 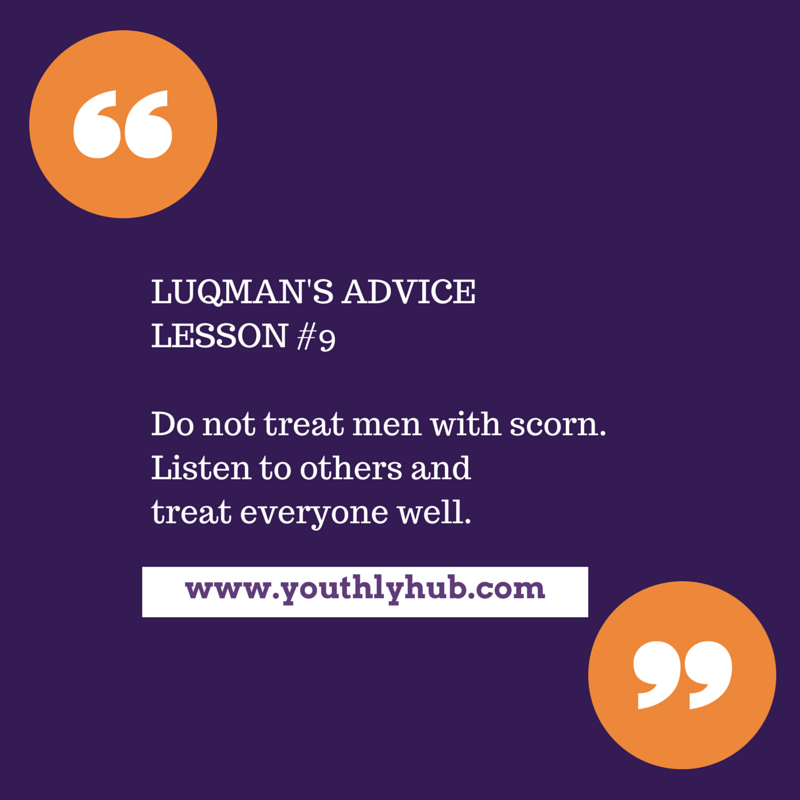 Treat Luqman’s advice as you would wise counsel from your beloved parents. Read the words, reflect on meanings and use lessons in your daily life. 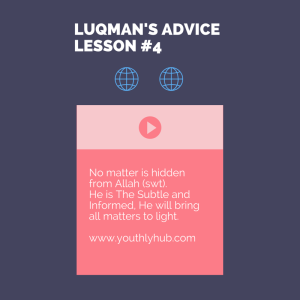 Tap into the wisdom of Luqman, the wise.